Coral reefs need to be protected. A growing environmental concern is coral reef destruction. How do we know that our reefs are being damaged? One of the clues is bleaching. Bleaching is exactly as it sounds - the color leaves the reef. This occurs when either the algae inside die, or the algae leave the coral. Algae gives coral its color and without it, the coral is pale. This is noticeable because the white of the limestone shell shines through the transparent coral bodies. It has been noted that some inexperienced fishermen use explosives in order to catch fish. When the explosives, such as dynamite, blow up, the stunned fish are caught. The negative side to this is that the reefs are damaged. The coral polyps, which are animals that look like jellyfish, and the many plants and animals living in the reef are left homeless. This practice of using explosives to catch fish is often done in the waters surrounding the Philippines. As we experience global warming, harmful algae grows on top of the reef, enjoying the warmer waters. This algae blocks out the sun for the rest of the reef and prevents its growth. Usually fish will consume the harmful algae, however, with over fishing, lack of fish slows down this process. If we are not careful, we will lose many species of sea life. There is a way to determine the growth of a reef. By slicing open a dead reef and looking inside, much can be learned. The inside of a coral reef resembles the inside of a tree with its rings. Dendrochronologists learn about the health of a tree by counting the rings in its trunk, and oceanographers can look at the rings from a portion of coral to determine how old the coral is and which years were healthy ones and which ones were not. The oceans around the Middle East, particularly the Arabian-Persian Gulf, have lost 35 percent of their reefs, with a low chance of short-term recovery. The Indian Ocean has lost 59 percent with a fair chance of recovery for the remote reefs not affected by human pressures. Oceans around Southeast and East Asia have lost 34 percent and hold a reasonable chance for slow recovery on the remote reefs. The Caribbean-Atlantic region has suffered a 22 percent lost due mainly to previous human stresses, bleaching, coral diseases and hurricanes. 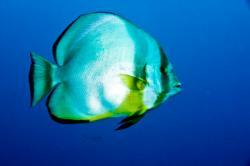 The reefs in the Pacific Ocean near Australia are in better condition that the other reefs. Although damaged a little, their outlook for recovery is positive and they appear to be in good health. 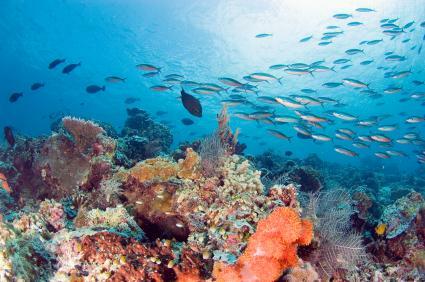 President Bill Clinton declared 1997 as the Year of The Reef. This alerted people to realize that action must be taken to understand the conditions needed to keep our coral reefs productive and safe. Groups sprung up to preserve the life of the reefs, and those efforts have continued to monitor our reefs and improve the health of our reefs. There is hope that 16 percent of our damaged reefs will be able to regain their functioning within the next critical years. There are a number of websites dedicated to saving the coral reefs, all helping us to understand how preservation takes place.